NBC’s loss is public television’s gain. PBS has announced its new six-part TV series, We’ll Meet Again with Ann Curry, will premiere early in 2018. The docu-series reunites people who connected during dramatic historical events. “This series helps people separated by conflict, war and humanitarian disasters find each other again and reveals untold stories of courage, survival, friendship and even love,” said Curry. “This is human history, – not from the point of view of kings or politicians or generals – but of everyday people on the front lines of massive events they have no way to control. Their stories tell us something about what we are made of.” Check out this PBS press release, for more about We’ll Meet Again. ARLINGTON, VA, JULY 26, 2017 – PBS today announced WE’LL MEET AGAIN, a new six-part series produced by Blink Films in partnership with Ann Curry’s media venture and scheduled to premiere in winter 2018. Exploring some of history’s most dramatic events from across the globe through the personal stories of those who experienced them, the series brings together people whose lives intersected at pivotal moments. Executive produced and reported by Ann Curry, each episode of WE’LL MEET AGAIN reveals the powerful bonds forged among people who now, against the odds, have the opportunity to reunite with those who transformed their lives. The tides of history can disrupt lives, throwing strangers together or tearing loved ones apart. WE’LL MEET AGAIN reveals these moving personal stories of hope, courage and love: from a Vietnam War baby desperate to find the American father she last saw 40 years ago to the military chaplain who helped a stranger through the trauma of 9/11, from a Japanese-American girl interned in 1942 who never forgot the classmate who helped her during her darkest hours to civil rights workers whose lives were forever changed by the deep relationships they formed in the 1960s South. Like the 1939 British song of the same name made famous during World War II by Vera Lynn, and later recorded by Johnny Cash, among others, WE’LL MEET AGAIN takes viewers on a journey of hope, searching for clues in marriage records, war and immigration documents, and combing archives to reunite those now separated by time and distance. WE’LL MEET AGAIN is a production of Blink Films. The series is produced by Simon Harries, and executive producers Ann Curry, Justine Kershaw and Andra Heritage. Executives in Charge for PBS are Bill Gardner, Vice President of Programming and Development, and Bill Margol, Sr. Director of Programming and Development. WE’LL MEET AGAIN is made possible by public television viewers. 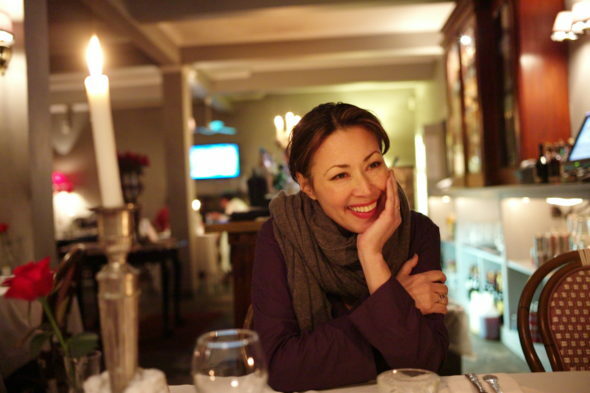 Award-winning journalist Ann Curry, a former NBC News anchor and international correspondent, has been recognized for her incisive coverage of global conflicts, nuclear tensions, humanitarian crises and groundbreaking journalism on climate change. Known for her focused reporting from inside Iran, she first broke the news of Iran’s interest in negotiating a nuclear agreement with the outside world. She delivered the first live news report to an American audience from the South Pole, tracked the AIDS epidemic in South Africa and Botswana, and documented Al Qaeda’s link to Al Shabaab terrorists in Somalia and Kenya. Her long list of exclusive and news-breaking interviews include those with world leaders, U.S. presidents from George Bush through Barack Obama, and notables from every walk of life. Winner of seven national news Emmys, Curry has won numerous Edward R. Murrow Awards, Gracie Allen Awards and National Headliner Awards. The NAACP has honored her with an Excellence in Reporting Award and she earned a Matrix Award from Women in Communications. Curry is the recipient of numerous humanitarian awards from organizations including Refugees International, Americares, Save the Children, and the Simon Wiesenthal Center, which awarded her a Medal of Valor for her dedication to reporting about genocide. What do you think? Are you an Ann Curry fan? Do you plan to check out her new We’ll Meet Again TV show, when it premieres on PBS? More about: PBS TV shows: canceled or renewed?, We'll Meet Again, We'll Meet Again: canceled or renewed? Thank you for this program. Airing on PBS 8pm EST this evening. From an award winning journalist, these stories are insightful, sad but real. My paternal grandfather was from japan. The stories about the internment camps is still painful to hear/watch. My fathers friendship with Mr George Takei, (william j sugihara) has brought even more information for my family. I recommend anyone still view the filmed staged version of ALLEGIANCE. I was fortunate to see the production in DEC. 2015…and met with entire cast members-a thrilling moment for all my family. Thank you again. It is the middle of January. Winter of 2018 is here. Can you please tell us when we can see this? I noticed this program on my PBS station/on Cox Cable. (Pbs shows are very very big with me) so being able to watch this show means alot to me. VA/ cox cable, 1/23/18, 8pm. Well worth looking it up! I love Ann she is so devoted to anything she does doing an amazing job. I cannot wait to see the series, makes me cry happy tears. Don’t ever give up Ann your amazing giving strength to women AND caring, loving, showing it for the Human Race. Looking forward to “We’ll Meet Again”. My friend and partner at the California Museum, Reiko Nagumo, is featured in the first episode. Ann Curry has been a faorfite of mine for years. I think Ann Curry is an excellent reporter and anchor. I have not watched NBC since Ann’s farewell address on “Today.” I am thankful that people are finally getting to know what Matt Lauer is really like. Karma is great!